Live a healthier life by dancing. Bharatanatyam improves balance, flexibility, stamina, concentration, maintains a healthy heart, builds endurance, controls weight and gives you healthy and glowing skin. 2019 has begun and registrations are are full swing. Call us at 647-802-3498 to register and begin your dance journey. To educate and increase the public’s understanding and appreciation of the arts by providing performances of an artistic nature in public places, senior citizen homes, religious centers, community centers and educational institutions through the creation of performances, festivals, workshops, lectures and other such innovating methods. It has three components of academy, professional productions and festivals/series. Laya Bhava Dance Academy is a cultural academy dedicated to the preservation of traditional values in Indian art, especially in the field of Bharatanatyam dance. Under Kirupanithy Ratneswaran's guidance, the institution has achieved national and international recognition for its unique style and perfection. ​ Learn Indian Classical Dance (Bharata Natyam) in Markham, Scarborough, Toronto, Don Mills (North York), Brampton & Ajax. To produce a performing arts festivals for the purposes of illustrating, educating and advancing the public’s understanding and appreciation of performing arts in the Tamil Culture. 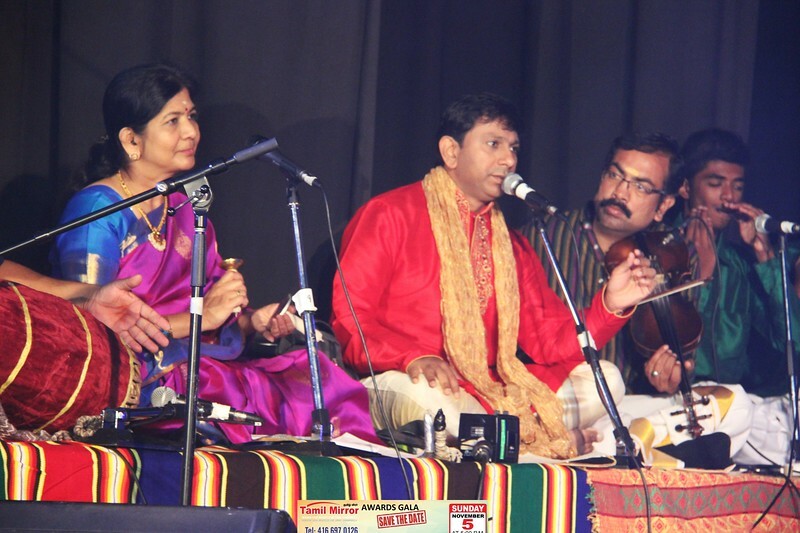 Photos from our annual recital "Navarasa Virunthu 2017" can be found here. LBDA won FIRST PLACE at Navarasa Natyam Dance Competition (Canada Finals) on Sunday September 25th 2016. Navarasa Natyam is an international dance competition for bharatanatyam. Many dance schools in Markham had participated. Congratulations to Vaisnavi Shanthamoorthy for winning first place in the under 15 years old category at Navarasa Natyam Dance Competition 2016 (Canadian Nationals) on Sunday September 25th 2016 at the Chinese Cultural Center. Congratulations to Sahana Ratneswaran for winning first place in the over 15 years old category at Navarasa Natyam Dance Competition 2016 (Canadian Nationals) on Sunday September 25th 2016 at the Chinese Cultural Center. Please note that the government has phased out the Children's fitness and arts tax credit for 2018. This class is for the adults looking to learn dance. You are never too old to learn to dance. Adults aged 20+ get to learn dance and prevent osteoporosis by exercising. Good health and exercise are taught in these classes. These classes are fun and educational. Adult students are also given performance opportunities. As a teacher of Bharatanatyam I get a lot of complaints on how they want to quit, as araimandi and muzhumandi seem to be postures which are very painful. I wondered in my years of learning did I feel the same. It used to be painful but it did not want me to give up. I want to understand the origin of araimandi in dance and why the generation today almost finds it impossible to continue because of that. The word araimandi basically means half sitting posture and closely resembles the Ayata Mandala. Mandala is basically a body posture which may involve a small movement. Ayata Mandala is defined inAbhinaya Drapanam as: “Standing in Chaturasra bending the knees slightly and obliquely and keeping a distance of Vitasati between the two feet “(A.D 692-93, Translation by Prof.P.S.R.Appa Rao). Another important aspect is saushtava which means that the body posture is erect without a hunch. The height of a person decided the araimandi, the distance from the navel to the head should be equal to the distance from the navel to the ground. One Vitasati is half a cubit according to scholar Manmohan Ghosh which equals to 22.86 cm, being a standard measurement it has to be the distance between the feet as measured from the heels. This is definitely not the distance allowed by our traditional gurus maximum allowed space seems to be generally a space of two fingers and the heels are always touching the ground. Bending the knees obliquely means there is a slant and not a complete turn out of the knees, but in araimandi one is required to get a complete turn out of the knees. This turn out happens from the thigh and not just from the feet and differs from person to person. If we observe some of the dance sculptures we can see the complete turn out of knees which is obviously in stone quite easy but in human body it needs practice and for some, the body structure might not allow it. 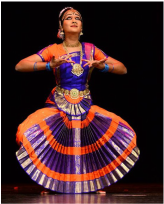 The araimandi closely resembles the demi-plié of western ballet, where there is greater emphasis on the knee turn out. As we tend to standardize ourselves according to the west I hope the dancers and the critiques are not doing the same with araimandi seeing demi plié as a standard. As I feel that in ballet demi plié is one of the postures whereas in Bharatanatyam Araimandi is “the “posture. The spiritual symbolism of araimandi is that it becomes a mandala where the body is divided into two equal trianbles with their apex meeting at the naval inside a square. A mandala is a symbolic of the cosmos, it is a sacred space and with deep focus on the mandala one aims to dissolve the microcosm into the macro. The body of the dancer not only acts as the mandala but also the axis mundi connecting the heaven and the earth. This body of the dancer so imagined also resembles the damru held in lord Nataraja’s hand which produced the first sounds leading to creation. to be the navel in the araimandi and it automatically creates energy in the dance if perfected.